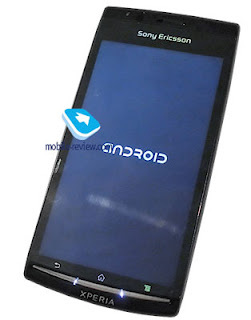 A prototype handset, Sony Ericsson XPERIA X12 Anzu is said to have fallen into the hands of a writer at Mobile-Review site. Of the units acquired the Mobile-Review provides a brief overview of Android handsets are expected to appear in 2011 this. Sony Ericsson XPERIA X12 Anzu still uses Android 2.1 but is expected to be launched using Froyo with option to upgrade to Gingerbread in mid-2011. Anzu, or XPERIA X12, using the Qualcomm MSM 7230 800 MHz (same as Desire Z), touch screen 4.3-inch LED X that supports multi-touch, 802.11n wifi, HDMI port, and 3.5mm audio. One advantage Sony Ericsson XPERIA X12 Anzu is a 12MP camera (or 8.1MP) which Exmor R lenses and can record 720p HD video. Sony Ericsson XPERIA X12 Anzu uses a 1500 mAh battery and has a thickness of between 7.8-10.9mm. According to this preliminary review, Sony Ericsson XPERIA X12 Anzu is promising because it can run without play video Eclair 720p with h264 codec smoothly.